Banners, posters and signs are not permitted in the facility. You will be asked to return them to your vehicle or dispose of them upon entry. All guests regardless of age require a ticket to attend an event, however, the promoter of each event sets this policy and will occasionally allow children under two (2) years of age into the event. The Kovalchick Complex has a fan code of conduct to help promote a positive fan environment at all events. The code of conduct is intended to address behavior that detracts from the event experience. Any fan in violation of these provisions will be subject to ejection without refund and loss of ticket privileges for future events. 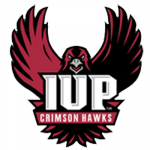 The Kovalchick Complex and IUP Athletics are committed to creating a safe, comfortable and enjoyable experience for all guests, both inside of the Ed Fry Arena and throughout the various other areas of the complex. Abusive, foul or disruptive language and / or obscene gestures. Any disruption to the progress of the event by a guests’ actions. Any behavior which otherwise interferes with other guests’ enjoyment of the event. Each guest should hold his or her ticket and be ready to display it to event staff or complex security to verify their seat location. Violations of the Code of Conduct may result in the guest being ejected, arrested by police or having his/her tickets revoked. All season ticket holders are responsible for their conduct as well as the conduct of their guests and/or persons using their tickets. Guests are encouraged to report issues and concerns by contacting nearby event staff or security personnel. Food and Beverage of any kind not purchased at the Kovalchick Complex may not be brought into the Kovalchick Complex. We are a full service food and beverage facility with seven (7) concession stands located on the main concourse to serve your needs. The Kovalchick Complex offers facilities and amenities for our guests with disabilities. Accessible seating is available on the main concourse level. There are two (2) elevators in the Kovalchick Complex available for use by our patrons. Seating for guests with disabilities is available in person at the Kovalchick Complex Box Office. All guests are subject to visual inspection of person, parcels, bags, containers and clothing capable of carrying prohibited items. 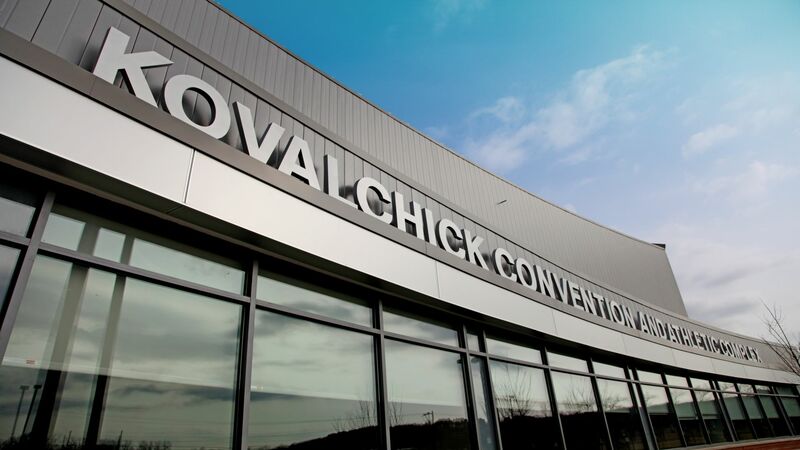 Patrons refusing inspection will be denied entry into the Kovalchick Complex. Animals are not permitted in the facility. You will be asked to remain outside of the facility with your pet. Only trained guide dogs or service animals assisting guests with disabilities are permitted inside the facility. 1) Examples of prohibited behavior include, but are not limited to, throwing objects of any kind; demonstrating unruly behavior; attempting to enter the field of play; engaging in behavior that endangers the safety of student athletes, coaches, officials or other guests; and/or taunting public safety officials. 2) Consequences for guests exhibiting prohibited behavior include, but are not limited to, loss of ticket buying privileges, ejection from the facility, and/or arrest. There is a no re-entry policy for all ticketed events. For the safety and security of our guests, re-entry back into the Kovalchick Complex is restricted for ticketed events, please review your ticket or inquire at the KCAC box office for restrictions on specific events. The reselling of Kovalchick Complex admission tickets on property is strictly prohibited. Guests engaged in such activity may be escorted off premises without any liability to the Kovalchick Complex. The use of all types of tobacco products (including and not limited to, cigarettes, electronic cigarettes, cigars and cigarillos, hookah smoked products, pipes, oral tobacco and nasal tobacco) is prohibited. This also includes any product intended to mimic tobacco products, contain tobacco flavoring, or deliver nicotine other than for the purpose of cessation. Smoking areas are available outside the arena. Guests wishing to smoke will be directed to the designated outside smoking areas for a particular event. Please check with an Event Staff or Usher for your specific event’s location. Guests may carry umbrellas into the arena.